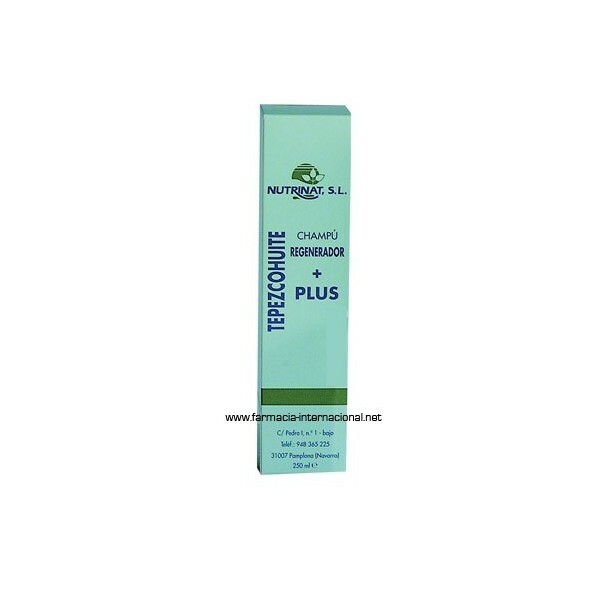 Nutrinat regenerator Tepezcohuite Shampoo 250ml. Shampoo pH 5.5, for their hair regenerative properties, can be used on all hair types, providing elasticity, shine and volume. Due to its content of active ingredients completely natural, does not harm the scalp. The tepezcohuite presents an important regenerative power of the skin, inducing the elimination of toxins and dead tissue of the scalp. Essential oils have antiseptic properties, protecting the hair from the aggression of external factors. The softness of this shampoo allows daily use. 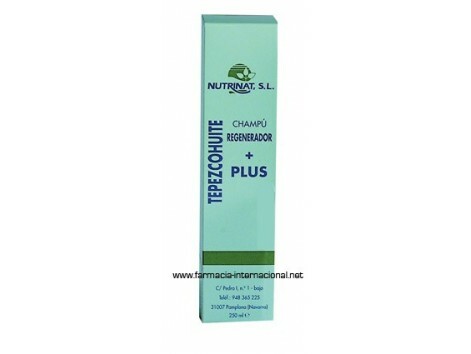 + PLUS SHAMPOO REGENERADOR TEPEZCOHUITE C Ingredients INCI: Aqua, Sodium Laureth Sulfate, Mimosa tenuiflora Extract, Glycol Distearate, Cocamide DEA Cocamide Mea Formaldehide Sodium Chloride, PEG-15 Cocopolyamine, Sodium Chloride, Cocamide Dea and glycerine, Allantoin, Benzalkonium Chloride, Parfum , Monoxynol-12, Disodium EDTA. Instructions for use Apply to moistened scalp and make a gentle massage. Rinse and repeat the same operation for a few minutes leaving existing active ingredients in shampoo and rinse with warm water. Precautions should be used externally.